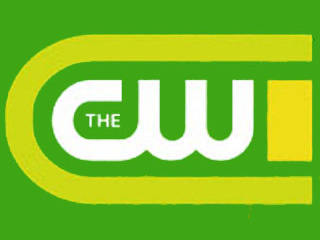 The CW has ordered three additional scripts for new shows Beauty and the Beast and Emily Owens, MD. The move will allow the writers to keep working while the network execs decide if they want to order more episodes into production. Starring Kristin Kreuk and Jay Ryan, Beauty and the Beast premiered to a very healthy 1.2 demo rating and 2.78 million viewers. The second week saw the show’s numbers drop to a 0.7 rating (-42%) and 2.00 million (-28%). While the latter are still better numbers than most of The CW’s other shows, the ratings may continue to drop. Emily Owens, MD debuted last Tuesday to a 0.5 rating and 1.67 million viewers. That wasn’t a positive start and the ratings will likely drop tonight. What do you think? Do you like either of these shows? Are you hoping one or the other will get a full season order? Emily Owens, MD: Cancelled Quickly or a Big Hit? Please renew both shows, I am a huge fan of both Emily Owens MD and Beauty and the Beast. Change the time slots so that they get a wider audience and loyal fans will watch!!!!! Keep Emily Owens, it’s a great show! Please renew Emily Owens…. The airing time might need for change to get more viewer. It is a great show. Keep this show it is awesome!!!!! Give it more time, much better than Gray’s.